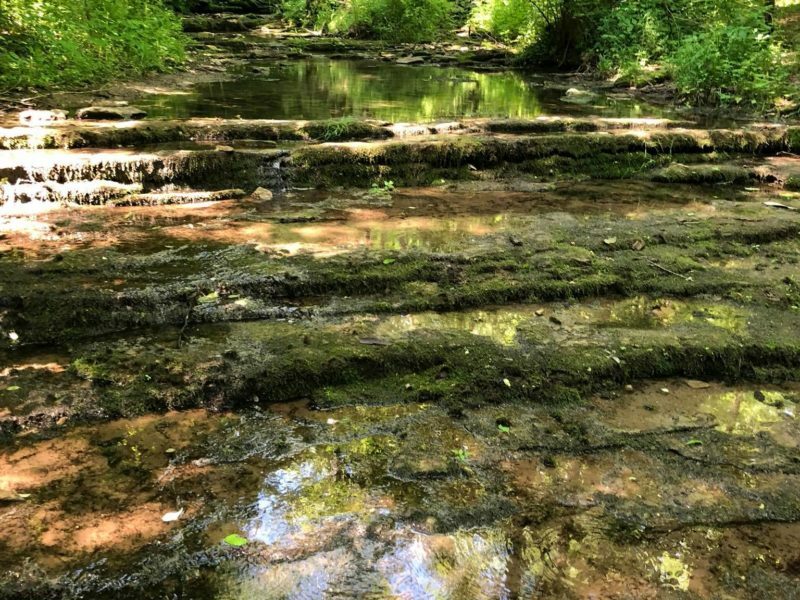 Raven Run is a 734 acre nature sanctuary that is part of Lexington’s city park system. 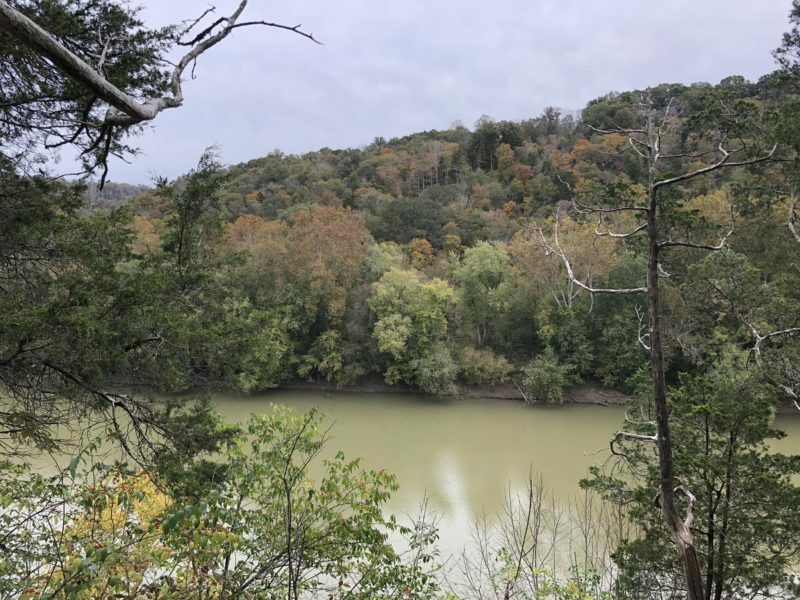 This area has a little bit of everything: overlooks of the Kentucky River, meadows, woodlands, streams, wildlife, 200 bird species, salamandars, wildflowers, butterflies, etc. The trail system has a little bit for everyone and up to 10 miles of trails ranging in difficulty. 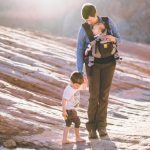 There are toddler led friendly trails as well as adult paced carry trails. All trails start at the nature center where you have to sign in. You will follow the wood chip trail past the old barn to where you reach the tree line and see signs for the red trail going to the right and left and the green trail straight up through the meadow. The red trail is a 5 mile loop with different trail options off of it. To go to the Kentucky River overlook, you would turn right onto the red trail and follow the trail signs to the overlook. Be careful at the overlook with children. There is a very steep drop off and there have been falls there before. For our favorite 1.5/2 mile trail loop for toddler led hikes, you would turn left onto the red trail. You will pass an old gravestone on the left soon after turning left onto the red trail. Take your first right hand branch off onto the blue trail to head down to the stream crossing. This may not be a good trail when there has been a lot of rain due to high water levels and fast moving water that you would have to cross. When the water levels aren’t high, this is a great place to spot salamanders and newts in the water. Continue across and follow the trail until you come to the intersection with the red trail. You will want to turn left onto the red trail and continue back to the start of the loop. There is a paved parking lot with grass parking spots if those are full. The Nature Center and start of the trails are about 1/8 of a mile walk from the parking lot along a sidewalk.